15-year-old Isaiah Gonzalez took his own life while live-streaming. On July 8, Austin teen Isaiah Gonzalez hung himself in his bedroom closet, live-streaming his death online via his cell phone. 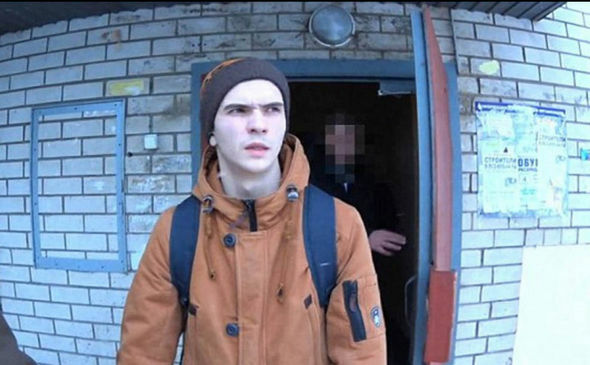 His father told the local authorities he believed his son committed suicide as part of the “Blue Whale Challenge,” a mysterious series of stunts that supposedly began in Russia. On Tuesday, the FBI told Fox 29 that it could not confirm whether Gonzalez’s death was linked to the dark viral game, but the teen’s family insists on a connection. “I don’t know if that’s what made him look into it but whatever it is I can’t beat myself up for it because I tried,” Gonzalez’s father told the local press. Gonzalez is not the only American whose family believes the “Blue Whale Challenge” drives teenagers to suicide. This week in Georgia, the family of a 16-year-old girl who committed suicide told WNCN that they too blamed the “Blue Whale Challenge” for their daughter’s death. The question now is, does the online cult of death for teenagers really exist? In February 2017, a string of teen suicides in Russia were linked by local authorities to an online “game” called Синий кит, or, roughly, blue whale. According to Radio Free Europe, the St. Petersburg branch of the Federal Security Service (FSB) began collecting incidents of teen suicides in a database meant to track the “Blue Whale,” and the problem grew in notoriety until BBC reported on it in April. The name’s origin is attributed to two different sources: one says it refers to the practice of whales who “beach” themselves ashore, effectively committing suicide. Others say the name comes from a song by the Russian band, Lumen, whose lyrics compare the image of a blue whale struggling to break through a net to a person suffering in isolation. Philipp Budeikin, the alleged ringleader of the "Blue Whale" group, photographed in 2016. According to BBC, “There are also reports of suicide cases being investigated in Ukraine, Kazakhstan, Russia and Kyrgyzstan, with a focus on links to internet groups,” though the publication was careful not to confirm the game’s involvement with any of the suicide cases. Though “Blue Whale” has appeared in international press many times in 2017, no one source has been able to confirm the game’s existence. In 2016, a Russian site published a Q&A with a source, Philipp Budeikin, who claimed he was a part of a Russian “death group” on the Russian version of Facebook, VKontakte (VK). When asked if he and the members of the group were urging teenagers to kill themselves, Budeikin said, “Yes. I really did. Do not worry, you’ll understand. Everyone will understand. They died happy. I gave them what they did not have in real life: warmth, understanding, and communication.” Budeikin was later profiled in several international publications, including the Portuguese Metropoles, which reported that the 21-year-old was receiving love letters from teenagers who claimed to have fell in love with him. Bloomberg reported in April that Budeikin had been arrested for pushing teenagers to suicide via his “Blue Whale” group, and that he was still awaiting trial. According to Britain's 'The Sun', Russian teen Yulia Konstantinova posted this photo of a blue whale to Facebook before committing suicide. Multiple sources seem unable to confirm whether or not the Blue Whale death group exists now, or whether it existed at all. Snopes ran a fact check but wasn’t able to fully negate or confirm many details from international sources, and even American law enforcement is airing on the side of caution, explaining to parents what the group is allegedly doing with teenagers online. As for where the group congregates in the United States, BET cites “Snapchat and other apps” in its coverage of Isaiah Gonzalez’s death, but no publication has published concrete evidence on the group existing. USA Today added Facebook and Instagram to its list of suspected platforms, but its reporter didn’t publish any proof of the group’s conversations. Instagram is now showing this warning message when the user clicks #bluewhalechallenge. For now, there hasn’t been any confirmation of American law enforcement looking into the Blue Whale Challenge. Whether or not Isaiah Gonzalez and the anonymous American girl were truly driven to kill themselves by a Russian online “death group” may be beside the point; the “Blue Whale” rumor has officially spread to the United States, and two families reportedly believe it has killed their children. The full extent of the group’s organization and international reach is no longer the most important part of this investigation; clearly, teenagers are seeking out the rumored group, and that’s the central social issue right there.